JANUARY 14, 2019 — PRConsultants Group recently announced the addition of a new member, Jennifer Bisbee, APR, president of Orlando, FL-based Bisbee and Company. 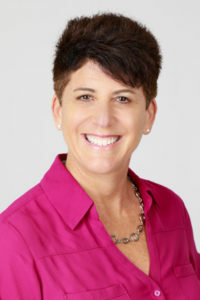 “Jennifer Bisbee is a highly-regarded public relations professional in Orlando and across a number of industries. We’re delighted to welcome her to our national network of seasoned public relations professionals,” said PRConsultants Group President Gary Young. Founded in 2000, PRConsultants Group (PRCG) is made up of senior-level public relations and marketing consultants representing top markets in the United States. Its unique collaborative model allows PRCG members to work together and separately on projects, offering “on the ground” experience in their local markets to clients’ regional and national public relations initiatives. Bisbee has more than 30-years of experience in public and media relations. Her practice specializes in brand launches, media relations, social media/digital integration, business-to-consumer and business-to-business communications, and issues management/crisis communications. A graduate of Northwestern University, Bisbee is an accredited member of the Public Relations Society of America (PRSA) and is a past president of PRSA’s Central Florida chapter. PRCG has a unique business model where small team or large team PR needs can be met to develop and execute communications and public relations projects across the United States. PRCG will custom-build the PRCG team that’s the right fit for a client’s project, ultimately helping a business achieve its goals. Members execute projects for a bevy of national and international brands focusing on strategic planning and creative execution in media relations, social media communications, promotions, crisis communications management, event development and management and much more. Due to their unique ‘network’ business model, PRCG is able to offer clients competitive rates in exchange for full-service agency benefits. PRCG can be found at www.prconsultantsgroup.com, Facebook and Twitter @PRCGroup.